Unless you’re from Buffalo or Western New York, The Nickel City flies under the radar in many categories. World-renowned architecture. A boisterous nightlife. Quick and easy access to a world wonder and a foreign country. An impressive culinary scene (and we’re not just talking about chicken wings). Yes, Buffalo is the birthplace of one of the most beloved and delicious bar-food staples, and Buffalonians couldn’t be more proud (or opinionated on where to get the best ones). The truth is, however, Buffalo is also home to a considerable culinary scene that expands far beyond a deep fryer and hot sauce. 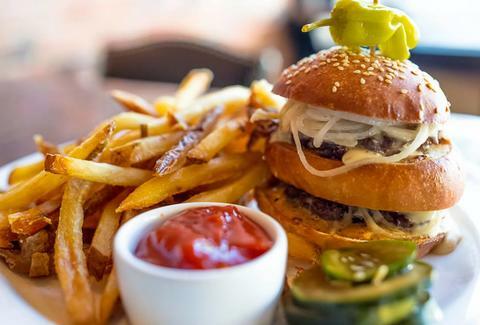 Check out the list below (in no particular order) for the best restaurants in Buffalo. 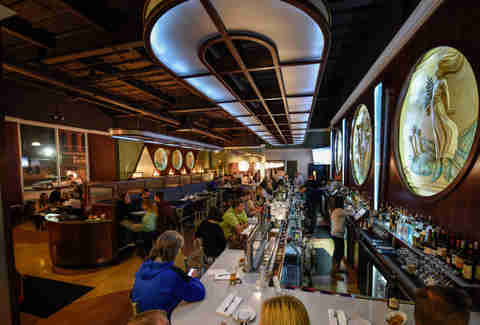 Housed in a modern Art Deco-styled building, Oshun is a popular Downtown destination for the after-work crowd who are looking to slurp down some of the “aphrodisiacal” mollusk. With an extensive raw bar, oyster happy hours, and an experimental collection of appetizers and entrees, there’s no better place to enjoy seafood in Buffalo. While there are several Mexican eateries in Buffalo, some of the best Mexican food doesn’t come from any brick-and-mortar establishment -- it comes straight out of the back of a truck. 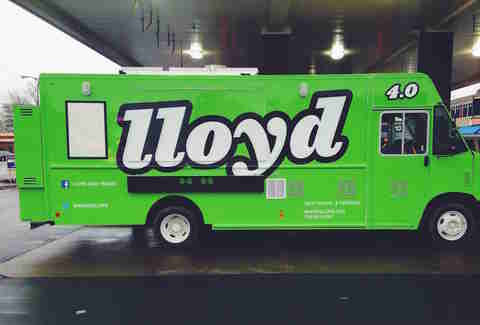 Dozens of food trucks roam the Buffalo streets, but Lloyd remains the best and most popular. Lloyd has a fleet of four trucks and an aptly named Twitter handle, so it’s easy to get your taco fix. Keep an eye out for daily specials, scrawled on a whiteboard near the service window. You’ll find fare that’s more experimental than traditional (but just as delicious), such as the Big Lloyd: Lloyd’s taco take on the Big Mac. Don’t forget about the sides, which include nachos and the summertime favorite, Krazy Korn -- a spin on the elote, a traditional Mexican street snack. 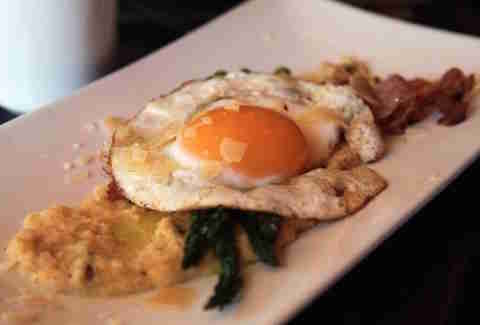 There are many reasons why Trattoria Aroma takes the top brunch spot in Buffalo -- the lengthy Bloody Mary menu; the table full of complimentary coffee, tea, and fresh baked goods; and the strong focus on sourcing all of its ingredients from local farms, making everything taste exceptionally fresh. Try the Caprese biscuit topped with a sunny-side-up egg, fresh mozzarella, tomato aioli, arugula, and basil. If you’re in the mood for something sweet rather than savory, get the caramelized banana pancakes served with créme fraiche. Aroma doesn’t only just do brunch right; with all of its pasta noodles made in-house and daily bruschetta and creme brûlée specials, it’s also one of the best places in Buffalo for an Italian dinner. Ted’s is a Buffalo institution, and simply the best place to get a hot dog in Buffalo. It serves Sahlen’s hot dogs (another Buffalo-native product), which are charbroiled and dressed up however you want them. For a side, Ted’s onion rings are a must-get, and another beloved Buffalo order. Make sure you order a Loganberry to round out your typical Buffalo meal. This sweet, non-carbonated drink is derived from the loganberry fruit (imagine a hybrid between a blackberry and a raspberry) and was first invented and sold at a popular amusement park at Crystal Beach in Ontario, Canada. The amusement park has since closed, but the drink is still sold throughout the region, and Western New Yorkers and Southern Ontarians collectively scratch their heads wondering why this drink hasn’t caught on elsewhere in the world. This farm-to-table establishment puts an emphasis on a small, but thoughtful menu, including beef and onion pierogi and pork liver deviled eggs. While the entree selections are very rich, it’s imperative that you save room for dessert; the winner at this spot belongs to the sticky toffee pudding. Prepared by the restaurant’s general manager (and house baker, naturally), this dessert is served bubbling and has garnered an almost legendary reputation in Buffalo. To taste it is to understand it. The fish fry is a staple in Buffalo cuisine, consisting of a filet of haddock or cod that’s beer-battered, fried, and served with fries, coleslaw, potato (or macaroni) salad, and a slice of rye bread. Most pubs or taverns serve this classic dish on Fridays only, and all days of the week during Lent. Much like chicken wings, the argument over where to get the best fish fry is a hot-button topic, but The Swannie House’s is by far the best. Located in the Old First Ward, Buffalo’s oldest neighborhood, The Swannie House is the second-oldest tavern in Buffalo. Dating back to the 1860s, its clientele were factory workers from the city’s booming grain industry who were coming off second shift. The Swannie House still serves Buffalo’s working class and sports fans (it’s a stone’s throw away from the First Niagara Center, home of the NHL Buffalo Sabres), and is a de facto history museum, with its walls and shelves filled with Buffalo relics from a bygone era. Known to be one of the finer restaurants in Buffalo, Hutch’s offers a variety of quality-cut steaks and an extensive seafood menu. The lobster bisque is smooth and velvety and served with generous chunks of fresh lobster. To keep things a bit more casual, order the steak sandwich instead of a fillet -- a strip-style sirloin grilled and served “Pittsburgh style,” topped with coleslaw, fries, and mozzarella cheese. Take a seat in Hutch’s brick-walled, lively bar opposite the dining room to ensure an entertaining dinner with a spirited crowd. So, where are the best wings in Buffalo? The answer lies in East Aurora, about 20 minutes outside of the city. Bar Bill not only serves up the best wings in the area, it also serves up a damn good beef on weck, another beloved Buffalo creation. It's a sandwich consisting of rare, thinly-sliced roast beef served on a kummelweck roll -- a Kaiser roll topped with kosher salt and caraway seeds. The roll is dipped in the beef’s au jus, and the sandwich is traditionally topped with horseradish, with a dill pickle spear on the side. One of the first eateries in Buffalo to serve Burmese food, this Burmese-Thai fusion spot quickly rose to prominence. Start off with the tea leaf salad: pickled tea leaves combined with peanuts, chana dal peas, garlic, and onion give it a very particular and flavorful taste. Next go for the pumpkin stew: Burmese curry with pumpkin, ginger, garlic, and chili, and your choice of protein, all served in a green pumpkin. For dessert, try the black rice-based treats. Black rice is stickier than white rice, has an earthier taste, and is used in both sweet and savory dishes. 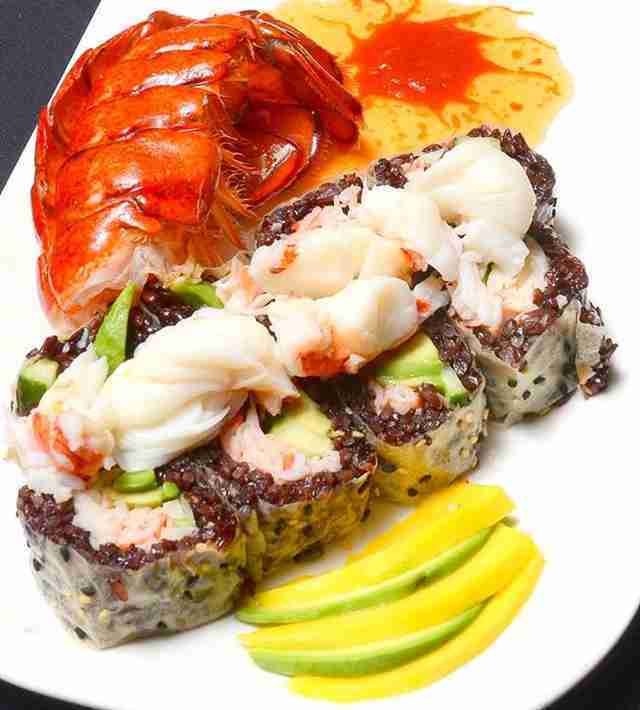 There's also a black rice sushi bar if you’re looking for lighter fare. Loaded to the brim with political and historical memorabilia, Founding Fathers is the unequivocal place for a trivia match, to watch a presidential election, or to just enjoy a beer and solid bar food in a totally unpretentious setting. 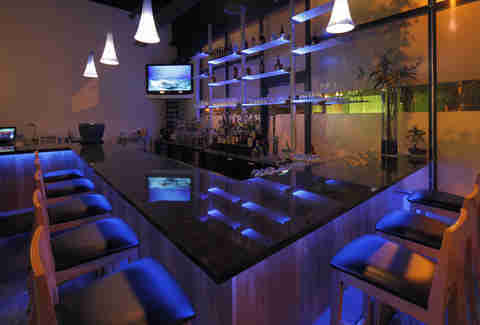 The bar offers free popcorn and nachos, which complement the cheap drinks. Come on the first Tuesday of the month, when the owner hosts the coveted (and most challenging!) trivia night in Buffalo (or sit at the bar any other night and try your best to answer countless tricky questions from the owner). During a presidential election, this place is as loud and rowdy as any sports bar during the NFL playoffs. 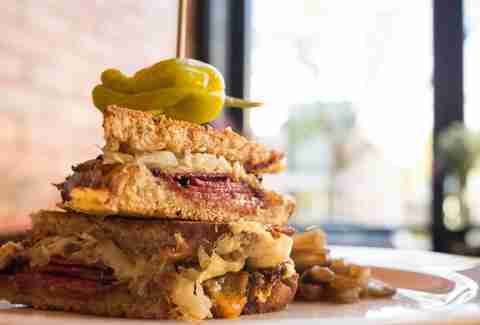 Owned and operated by Mike Andrzejewski, a chef and restaurateur of several popular Buffalo restaurants, Seabar is Andrzejewski's most adventurous spot to date. With his mostly seafood-centric menu, Andrzejewski's creativity is highlighted in the sushi rolls. 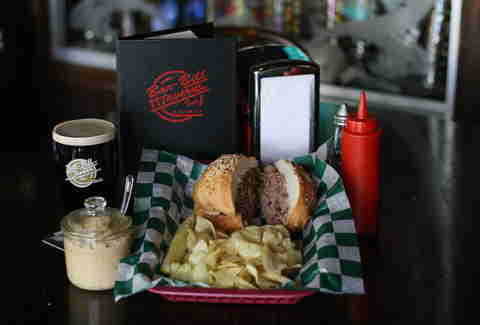 His beef on weck is a nod to Buffalo’s signature sandwich, but is drizzled with a horseradish aioli. The miso caramel crab roll is made with fresh crabmeat drizzled with a miso caramel glaze. The seafood tacos -- two hardshell tacos filled with diced raw fish and onions -- and the curried popcorn served to every table as a complimentary starter exemplify the fact that Andrzejewski's innovation extends beyond sushi. If you’re looking for some Creole flavor, Shango serves up the best New Orleans/Creole cuisine in Buffalo. Gorge on the mac and cheese with andouille sausage: penne pasta and andouille smothered in smoked Gouda, goat cheese, cheddar, and baked with a rosemary panko crust on top. If you’ve somehow saved room for dessert, get the bananas Foster to complete your culinary trip to the Big Easy. Located in Buffalo’s West Side (obviously), this collective shop is operated by the city’s immigrant and refugee populations. Vendors sell goods native to their homelands, such as clothing and jewelry. While it’s a prime shopping destination, it’s also become a top dining haven, where Buffalonians can taste cuisines they most likely haven’t experienced before. Laotian, Burmese, Thai, Ethiopian, Jamaican, and Asian Halal food windows serve their delicacies cafeteria-style in takeout containers. 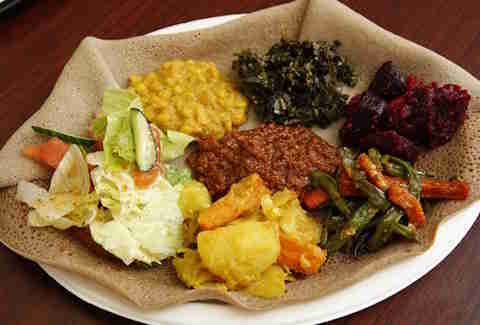 Opt for the Abyssinia combo platter at Abyssinia Ethiopian Cuisine to get a sampling of various Ethiopian staples and then mosey over to the Ethiopian Cultural Coffee stand to witness a traditional Ethiopian coffee ceremony and to taste some seriously strong brew. Despite being named after FC Barcelona’s slogan (“més que un club,” Catalan for “more than a club”), this bar welcomes supporters of all soccer (or football, for you non-Americans) clubs. Locals and expats alike aiming to get their soccer fix pack in tight, making it a rambunctious setting. In addition to offering the largest broadcast selection of soccer matches in the city, Més Que also serves up a solid food menu and a clever cocktail selection. The Left Bank is often revered by Buffalonians as being Buffalo’s restaurant, and it lives up to its reputation with its pappardelle pasta dish -- the pasta and the shellfish are served in a brandy cream sauce and then tossed with julienne vegetables, arugula, and tarragon. The restaurant also hosts a very popular Sunday brunch accompanied by live jazz, and it’s got one of the best summer patios in the city. Caroline King is a writer based in Buffalo, NY, who enjoys having good times with good people, and is always looking for her next adventure. See more of her writings on her blog, or watch her struggle to keep her ramblings to under 140 characters on Twitter.